The film spends quite a long time on the background story: about a half hour, actually. About ten minutes into the movie I started to wonder if the movie was actually about Jor-El; but, more screen time with Russell Crowe is never a bad thing. The council on Krypton has let Krypton destroy itself and the planet is dying. So General Zod attempts a takeover while Jor-El does some fancy work of his own and manages to get his son, Kal-El (a.k.a. Clark Kent) off of the planet, along with an important artifact called the codex, before Zod kills Jor-El. 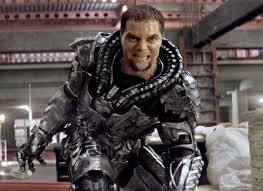 Zod’s attempt at a coup is subsequently put to a hold and Zod and his troops are thrown in a black hole a very short time before the planet implodes, killing Lara and leaving Kal-El an orphan bound for Earth. The next several minutes show Kent as a wanderer bouncing from job to job and place to place with occasional glimpses into his childhood. Even with these glimpses, we never see Jonathon and Martha Kent discovering the boy Kal-El. I didn’t care for that, but it is a minor detail. As time progresses, we eventually meet relentless reporter Lois Lane, and at about the same time Kent meets his father; or, a memory of his father, so to speak. This shadow of his father gives him the familiar suit. 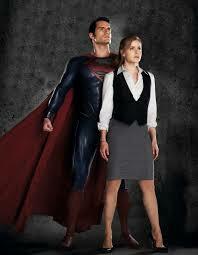 I want to pause here to make a point: Lois Lane is the strongest superhero love interest I have ever seen on screen. She is strong, independent, determined, and full of integrity, and she is all of that without sacrificing an ounce of femininity. That is hard to pull off. She also manages to do so while still being Superman’s “help meet” in a sense. She wasn’t defined by him but she did care about him. Ultimately, he wouldn’t have succeeded without her. She wouldn’t have succeeded without him. It was ultimately a beautiful match that you don’t often see in superhero movies. Shortly after, General Zod reappears, demanding that Earth surrender Kal-El. What ensues is roughly an hour and a half of drawn out, repetitive battle scenes cut together with a terrified Daily Planet staff trying to survive. Throw in a heroic and reckless girlfriend and wa-la: Superman wins and Zod goes bye-bye. There are a few things that bug me about the movie itself. I’ll admit that I’m being a bit picky, but hey, a movie about the original superhero needs to have high standards, right? (These are primarily for readers who have already seen the film). 1. If I met my biological father (even a shadow of him) after 30 years, I think I would have more of an emotional reaction than calmly saying “You’re my dad. I have questions.” Come on bro, show a little emotion. It’s not toxic, I promise. 2. 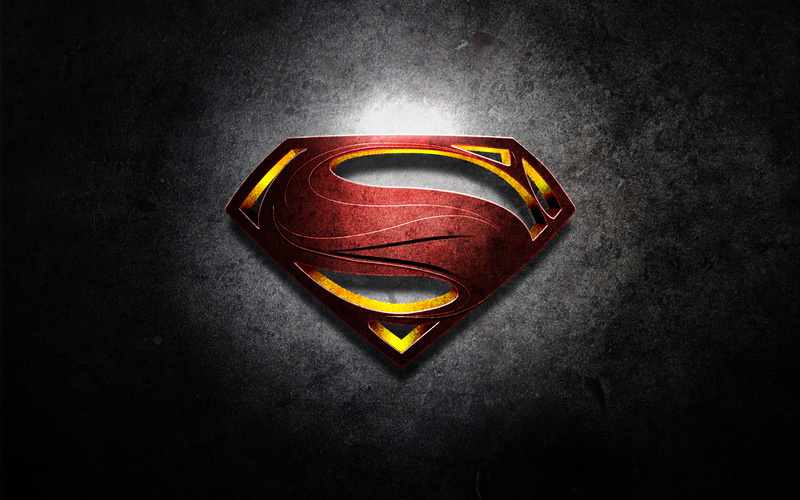 Superman’s abilities come from the fact that he’s a kryptonian on Earth. Basically, all limitations pertaining to physics are really watered down on Earth compared to Krypton, which means that the other kryptonians are just as powerful, as shown in the never-ending battle scenes. But when Lois changes the gravity field on Zod’s ship to be Earth’s, Superman pummels a kryptonian thug as though he’s a human, when in reality they should be equally matched. Kind of convenient, don’t you think? 3. Superman doesn’t wear a mask. The whole world saw him. For crying out loud, the staff of the Daily Planet itself was in mortal danger and Superman saved them. Then Clark Kent saunters up as an intern. With glasses. But naw, I wouldn’t remember the face of a flying man that saved the world from an alien invasion. Besides, glasses change his face sooooooo much . . .
4. I despise deception. Included in deception is saying “Hey, the conflict is over, he’s kissing the girl, all is fine and dandy!” Then the villain pops up and they fight for another ten centuries. That happens. And it’s annoying. And it’s long. And annoying. With all of that said, there are some really great things that can be taken from the film. Superman is presented in “Man of Steel” unapologetically as a Jesus figure. His father is not of this world, he has the power of a god, and saves the people from a coming doom (Jor-El tells him “You can save them. You can save all of them”). Aside from a couple of questionable decisions (lying about his work history and stealing clothes, for example), the integrity of Clark Kent is virtually spotless. Flashbacks of his youth (and even a scene in the present) show him being abused and mistreated, but he never strikes back, even though he tells his father (Jonathon Kent) “I really wanted to hit him.” Jonathon also tells his adoptive son ““You’re not just anyone. One day, you’re going to have to make a choice. You have to decide what kind of man you want to grow up to be. Whoever that man is, good character or bad, it’s going to change the world.” Kent didn’t “just happen” to have integrity. He chose it. I appreciate the fact that the Jesus figure is full of integrity, but I also appreciate the fact that they highlighted his choice. At the end of the film, Clark tells Martha (his adoptive mother) that he wishes his father (Jonathon) had lived to see him become such a great man. Martha responds that he did. We then see a flashback to Clark as a boy, with his father watching him. Clark is not a great man because of what he did, Clark is a great man because of who he is. That is a very powerful point. We are too concerned with accomplishments and not enough with character. Superman may not be my favorite superhero. “Man of Steel” may not even be my favorite superhero movie. But the integrity of Clark Kent as well as the messages of the film as a whole are lessons that we as a culture desperately need. I give the film an 86 cinematically and a 98 for the worldview. This entry was posted in Movies and tagged amy adams, Clark Kent, general zod, henry cavill, jor-el, kal-el, Krypton, last son of krypton, lois lane, man of steel, new superman movie, russell crowe, superman, superman returns.